The Lab has a proud history and heritage of 75 years of science and innovation. See historical photos and original badges, and read about former Lab directors. The primary responsibility of the Laboratory is assuring the safety and reliability of the nation's nuclear deterrent. Though the world is rapidly changing, this essential responsibility remains the core mission. The people of Los Alamos continually work on advanced technologies to provide the United States with the best scientific and engineering solutions to many of the nation's most crucial challenges. The Laboratory was established in 1943 as site Y of the Manhattan Project for a single purpose: to design and build an atomic bomb. It took just 27 months. On July 16, 1945, the world's first atomic bomb was detonated 200 miles south of Los Alamos at Trinity Site on the Alamogordo Bombing Range. Under the project leadership of General Leslie R. Groves and staff direction of J. Robert Oppenheimer, scientists at the Laboratory had successfully weaponized the atom. Hitler was defeated in Europe, but the Japanese Empire continued to wage an aggressive Pacific war. So President Harry S. Truman chose to employ atomic bombs in an effort to end WWII. Little Boy, a uranium gun-type weapon, was used against Hiroshima; Fat Man, an implosion plutonium bomb, was dropped on Nagasaki. On August 14, armistice was declared; on September 2, the war officially ended. 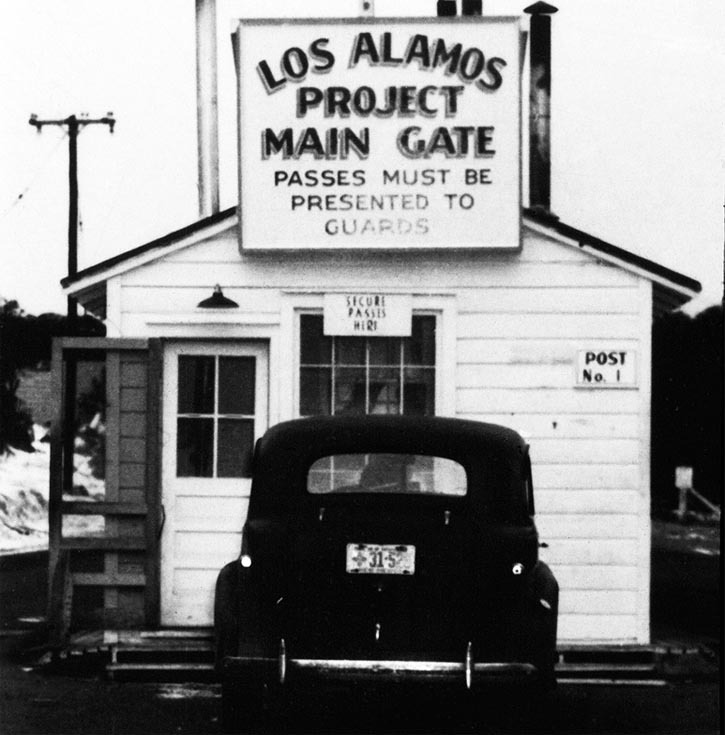 The Los Alamos of today has a heightened focus on worker safety and security awareness, with the ever-present core values of intellectual freedom, scientific excellence, and national service. Outstanding science underpins the Laboratory's past and its future. A rich variety of research programs directly and indirectly support the Laboratory's basic mission: maintaining the safety, security, and reliability of the nation's nuclear deterrent without the need to return to underground testing. The future is filled with promise. All Laboratory programs are built on our scientific infrastructure, with a focus on attracting and retaining top scientific talent and providing them with the tools to succeed.